"One shot is a 15ml concentrated energy liquid in a sachet that fits easily in your bag or pocket." FLASH SHOTS is a liquid energy shot designed to be quick, easy, and effective made to keep Malaysians productive. One FLASH SHOT is enough to help you get energized, alert, and active so you can get more out of your day. FLASH SHOTS come in two products: FLASH ENERGY SHOTS and FLASH SPORT SHOTS. What is in our FLASH SHOTS? Our active ingredients are sourced from quality and effective Nootropics, herbs, and herb extracts. 100%! FLASH SHOTS are produced with the MeSTI certificate for food and beverage production safety practices, are our main active ingredients are sourced from high quality and safe herbs. We do not need KKM since we are classified under BKKM for food and beverages, whereas KKM certificates are for pharmaceuticals and cosmetics. We ourselves take FLASH SHOTS, and so do our family and friends! We only feed our loved ones with safe and high quality produce only. How do I take FLASH SHOTS? Just rip one sachet open and drink immediately. No water mixing needed. We designed FLASH SHOTS to be quick and mobile for performance on the go! When do we take FLASH SHOTS? When you get up- kickstart your morning with any FLASH SHOT and have a great start to your day! After Lunch– No more post-lunch sleepiness, power through work or school with any FLASH SHOT! Pulling all-nighters– Staying awake is one thing, staying alert late at night is another. Take any FLASH SHOT to do both! Before work or studies– Both need focus and energy, both will benefit tremendously using just one FLASH ENERGY SHOT! Driving long journeys– Read this: SLEEPY DRIVING ARTICLE. This could be avoided by staying awake and alert with one FLASH SHOT! Before sports, e-sports, or gym– Listen up, by taking one FLASH SPORT SHOT, we're giving you guys a clean powerful edge over your competition! Time to dominate and rule the playing field! During vacations or travelling– We all know how tiring travelling is, but now you can fully enjoy your vacation or power through your business trip by taking one FLASH SHOT! You can even carry our liquids through airport security! Before big events– Concert? Ted Talk? Watching a game? Carry one FLASH SHOT in your pocket and get hyped and stay energized through the event! Before carrying out hobbies- Face it, after work or school, can we really enjoy hobbies with what little energy we have left? Well say goodbye to that with one FLASH SHOT! Who can take FLASH ENERGY SHOTS? FLASH SHOTS is a must for anyone productive to keep being productive without the threats of fatigue! However, FLASH SHOTS are unsuitable for those under 16, pregnant women, and nursing women due to the equivalent caffeine content. How many FLASH ENERGY SHOTS can I take a day? Does FLASH ENERGY SHOTS have caffeine? One FLASH SHOT has equivalent amounts of caffeine to a strong premium cup of coffee, which is sourced from herbs and herbal extracts (Guarana, Yerba Mate, Kucha Tea). What are Nootropics? Is it safe? 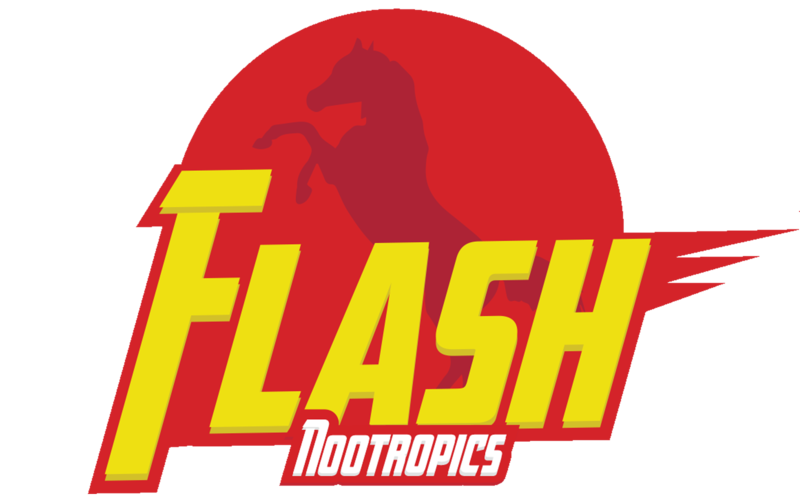 Nootropics are substances which helps in cognitive power, namely focus, motivation, and memory. Our nootropics are sourced from natural herbs that have been shown scientifically to be effective nootropics and safe without side effects. Do you guys have KKM? We do not need KKM certificates since FLASH SHOTS are classified under BKKM for food and beverages, whereas KKM certificates are for pharmaceuticals and cosmetics. However, FLASH SHOTS are produced under the MeSTI certificate for food and beverage production safety practices, so do not worry! Are you guys Halal certified by JAKIM? As of now, we are not but we are working on it, as the process takes time and bureaucracy. Rest assured that our founders are Muslims and they have taken every precaution to ensure that FLASH SHOTS are 100% halal. For your information, FLASH SHOTS do NOT contain animal-based ingredients and alcohol. How do I buy FLASH SHOTS? I love your product! Can I help sell them? Yes, sure you can! We would love to help spread our wonderful product to help Malaysians be more productive, as well as help you make money from an effective product you love. Just drop us a message HERE or WHATSAPP us, and we will sort you out. I want your products at my store, can we form a partnership?